In between jobs today I went to check out what was new in HomeGoods. It was really crowded today with both people and great finds! I really enjoy this chair - and for $299 it is a bargain! It is made by Lane. The colors are very fun and if I had room for it I would have brought it home with me. 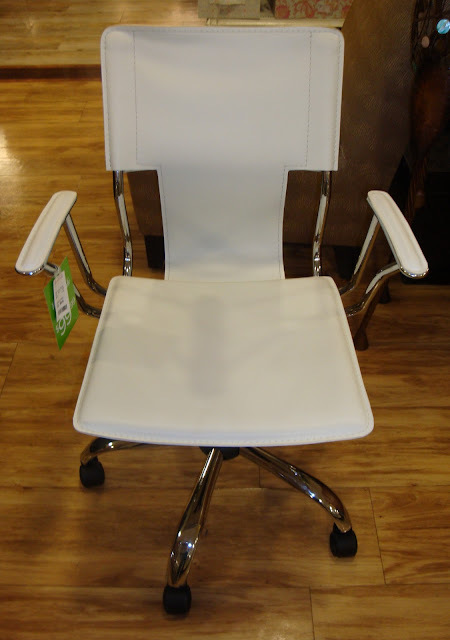 I would love to have this chair too - only $99 but again ... no room for it. I thought this office chair was really nice too. It had a great cushion on it and it had a height adjuster. I stared at this for a really long time and tried to think which client of mine could use it ... it is really fun, isn't it? I am really noticing a lot of pink honeysuckle right now ... are you? This bench was a must have and check out that cabinet behind it! I would put that in my potting shed if I had one or even on my back porch for gardening tools (oh, if I just had a back porch!). Well, I did have room for one little thing ... after all that temptation, I couldn't come home empty handed so I picked up this bad boy. 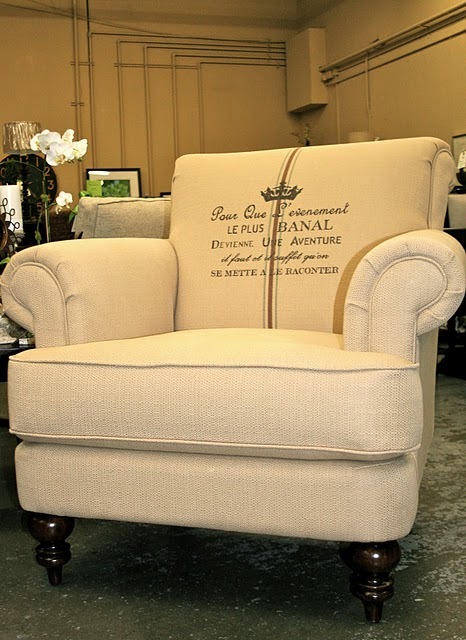 If you are local and have not been to Chartreuse Home Furnishings, you are really missing out! 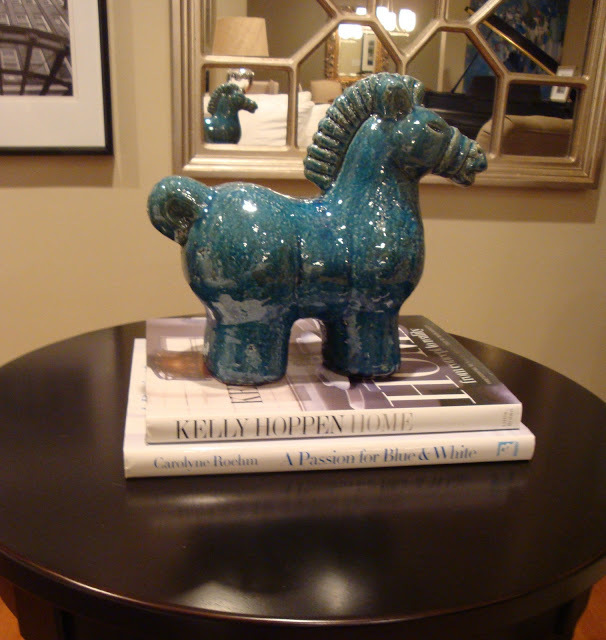 They have a wonderful selection of furniture and accessories and their prices are really decent. They are one of my favorite resources. You can see some of what they carry on their blog - click here to check it out! I loved this repurposed door coffee table! I am in love with anything "initials" anyway but these are really nice! I didn't look but I wonder if they have my initials (hint, hint!). I hope you get a chance to, pop in and see what they have and if you do, tell them Sherri sent you over! This makes me want to go shopping! Too bad my wallet can't go with me, lol. sharri, thanks so much for your nice comment. I really appreciate your thinking of me. Looks like I may go to Home Goods...I should be painting! I love the bench, the pouf, and that office chair! Thanks for being our shopper. I need an office chair! 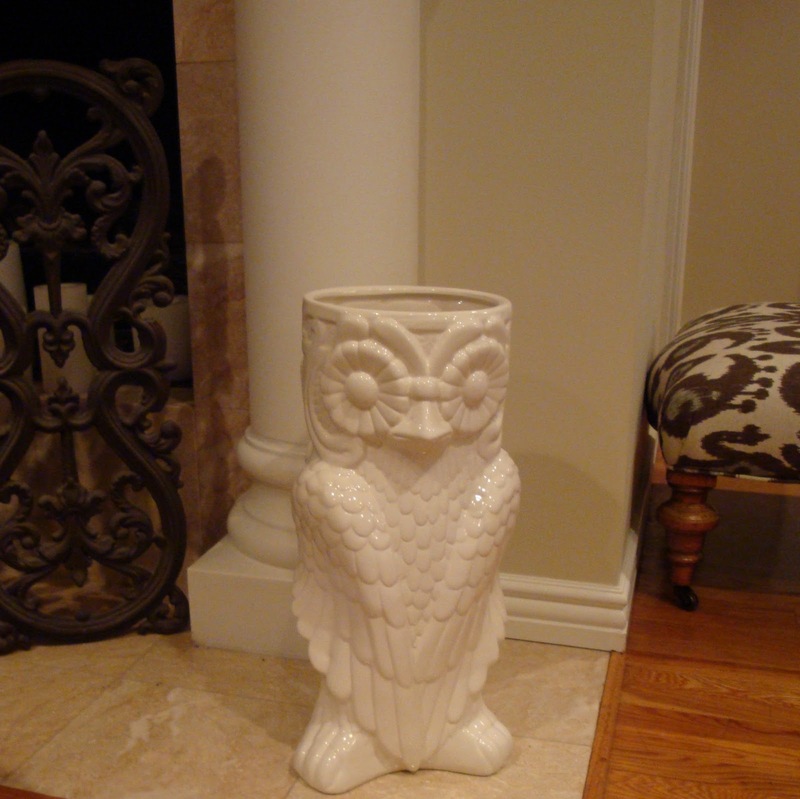 Great that you got your Owl because I was at Z Gallery looking for a owl for you and they were sold out! I even checked on line and called stores. You definitely have a good eye for great finds. I love the Home Goods Ottoman!! 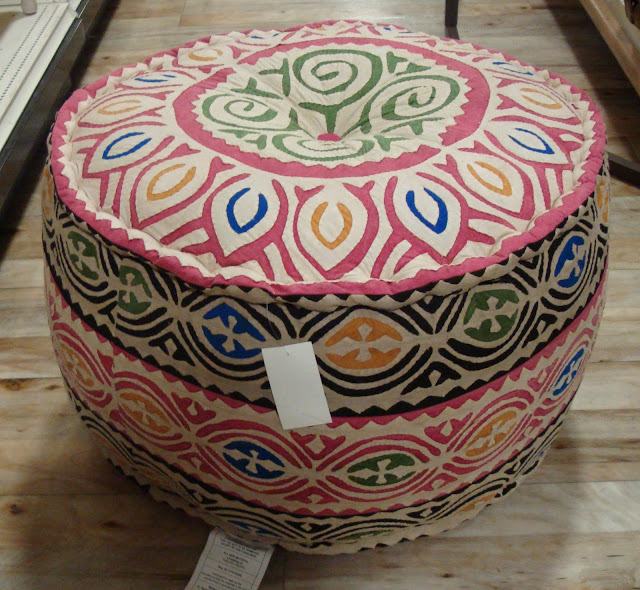 I love that ottoman...perfect for my daughter's room, but based on your comments...it's probably already gone! Great eye! This is so amazing! It was like I went go shopping with you.. I wish we could do that! You took great pictures. Guess what? I just awarded you the Stylish Blogger award! See what I mean on my blog. Ah...so much fun to peruse Home Goods. You have convinced me to go tomorrow...we have a pretty good one in Costa Mesa, but I think yours might be better.